The skin is the upper and visible layer of our body. Nature has endowed each being with protection cover. The skin (including hair) of human beings is that protection cover which saves the human body from changing environment. Rain, cold, heat, sunrays, dust, virus and other factors can cause harm to the body. The skin acts as shield of the body and takes all the negativity on itself. With so many things that our delicate skin has to go through, it is our job to protect, care and heal our beautiful skin. We should take good care of our skin and try to protect it from harsh elements present in the atmosphere. Skin care requires a proper and regular effort to keep the skin clear and clean. 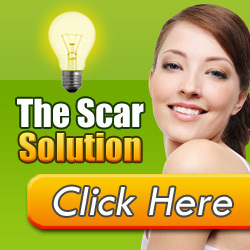 A skin regularly cleaned and nourished help in getting rid of various skin problems. With proper care, the natural texture and complexion of the skin can be retained. The skin care is the method of maintaining the skin and giving importance to the basics of skin requirement. With essential tips and guidance one can not only easily keep the skin in its original form but also augment the beauty of the skin. The way to beautiful you begins with proper skin care. Like our body, our skin requires vital nutrients and protection as well to stay healthy and glowing. Since skin continuously works towards our protection, it also needs continuous and regular protection. There are two simple ways of skin care. These two ways are internal and external method. In internal method of skin care one has to pay attention about lifestyle, eating habits and regular exercises/yoga. Here at this website we have discussed general skin care precautions, tips and step by step procedure to maintain healthy and younger looking skin. In second method of skincare applying of certain creams, masks or paste to the external layer of skin. Applying of skin care products depends upon the type of skin. Market is filled with various skin care products that make tall claims in advertising but most of the products do not fulfill what they claim. Most of the products are very costly and are chemicals based that have many side effects on your skin and body. On the other hand the home made recipes are safe, cheap and very effective in maintaining healthy skin and curing many skin related issues without any medicines. Above skincare tips are very important and basic requirement for maintaining healthy and achieving smooth and silky skin. Secret of skincare lies in regular and correct skincare regimen.Skin care also depends upon the types of skin as one skin care regimen does not suit all types of skin. First of all identify type of skin and select skincare regimen as per type of skin. Skincare recipes are also prepared as per type of skin as need of dry, normal, oily, sensitive and combination skin are different. Skin care program also changes as per change of season and age. In different seasons certain extra precautions and care are to be taken maintain healthy skin. In summer, rainy and winter season one has to adjust skin care regimen differently. Likewise in teen age there are hormonal changes in body as such for teen ager skin care regimen is different from adults.